When summer abundance arrived our dinners changed dramatically. My Dad made regular evening stops at Wade’s Farmstand** in the Connecticut River Valley before traveling over the mountain on his way home from work to purchase the freshest radishes, cucumbers, blueberries, strawberries, melons, and corn! 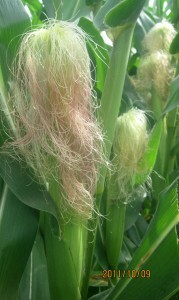 The silken ears were freshly picked every day, because picked corn loses its sweetness with each passing hour turning the flavor to pasty starch. The strawberries burst with flavor and had to be slurped. Radishes came in rounds, spikes, as big as carrots and the colors varied from the bright red to white and every shade in between. Melon diversity ranged from smooth to rough skin with red, orange, and green inside. Hot humid summer days, moved into crisp, clear fall days with a plethora of apple varieties, Mcouns graced the farmstand table for what always felt like a short time, while McIntosh being storage apples were available until spring. Pears, peaches, plums all thrived in the Farmington River Valley at a slightly higher elevation, upstream from its confluence with the Connecticut River. At home, Dad also had a penchant for the ripest, most recently picked tomatoes and would grow upwards of 20 different plants, including cherries, beef steaks, early and late varieties just for the optimal burger tomato, plate of tomatoes with chives, or to just pop in the mouth. 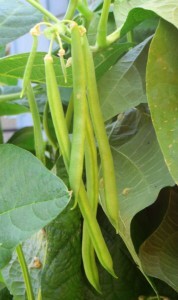 I started my first garden before I was a teenager planting Blue Lake bush beans, which continue to be my favorite. Genetically engineered (“GE”) foods, also known as genetically modified organisms (“GMO”), were first introduced for human consumption and have been expanding in the marketplace. The genetically engineered seed stock technology is revered by some, since science has engineered away pest problems by modifying plant genes. Others slander the science, since there have been no controlled studies or tests on how these genetically modified plants will impact human health or the natural environment. Examples of GE foods are corn, soybeans, and sugar beets which have all been designed to be “RoundUp Ready,” containing a glyphosate-resistant trait and are widely grown in the United States. Glyphosate is the key ingredient in Roundup®. When it is sprayed in the fields of corn, soybeans and sugar beets it destroys the weeds and does not kill the main crop, which has been genetically modified to tolerate the Roundup® application. With American diets about 70% processed foods and the prevalence of these three crops in those foods, it is highly concerning. 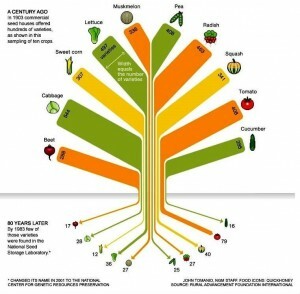 With 88% of the corn, 94% of the soy, and 95% of the sugar beets being genetically modified, the long-term strength of these crops is questionable, the stability of the food system is being highly compromised, and is about as sturdy as a one-legged stool. Resilience is built through diversity and the basic tenet of biology is being challenged by relying on this technology for such a large segment of the food system. With the corn, soy and sugar beet industry essentially dominated by genetically modified crops, we are living in a time of a potential food catastrophe. If a disease, pest, fungus, superweed, or other annoying agricultural problem gets triggered, it is not unfathomable that a plant type may mutate or infect other plants. Thankfully, organic foods can not and do not include genetically engineered ingredients and are an available option for consumers. We can purchase organic foods and know we are not eating an untested science experiment. Forward thinking eaters, are working for sustainable food systems that are “protective of the environment, economically viable, and social responsible.” Personally, I support a strong local food system and want to know where and who grows my food, to limit processed foods, to support my local farming economy, and to buy organically grown products as often as possible. **I am happy to see that Wade’s Farmstand is still located on Simsbury Road 95 years after its founding, as you drive west out of the Connecticut Valley with the motto, “I don’t try to sell anything in my stand that I wouldn’t want to eat myself. I’ve found that the consumer will come back to the stand only if you give him top quality.” Note: The graphic describing the diminution of seed varieties was created by RAFI-USA. RAFI-USA does not endorse, review, or authorize the content stated on Gardow Consulting.